Brief Summary: Deep analytics driven review of IP assets delivered in a clear and concise report. Detailed Description: Portfolio valuation is a data managed process driven by the IP team where several sources of data and analytics are used to review a patents strengths, categories, marketplace strength (current and future), possible invalidity, prior art, similar portfolios, and other companies who own IP in the same space. This data is filtered by the IP team and turned into a concise report with our proprietary IP Score available for client delivery. Brief Summary: Mining hidden gems in your IP portfolio and using our data driven process to find how these assets can be used in untapped ways or verticals can lead to new revenue streams. Detailed Description: After an extensive analysis of your portfolio we segment assets that we deem to be unused, forgotten, or written off. Using several sources of data and analytics we find any hidden potential in these assets and work through potential monetization opportunities. In addition, forgotten IP assets can be run through our “Portfolio Pairing™” service to find collaboration opportunities leading to monetization from already owned, untapped assets. Brief Summary: Using our proprietary multi-step, industry specific process, we conduct a strategic inventing session to create new patents and claims around your products, new patentable concepts or designs, existing patent applications, future needs, and industry. Detailed Description: Strategic Inventing sessions are most effective when conducted on a quarterly or bi-annual basis to ensure a constant flow of innovation and defense for your operation. The process is regimented and creates an opportunity for a wide range of the participants, including named inventors, technology personnel, or any creative or innovative team members, to look at the subject matter from different angles, as well as encouraging “outside the box” thinking. Matters for consideration include future market needs, enforcement potential, competition, and numerous others. There are multiple and varying 18 Step processes, of which we will select one based on your industry, and assist your team through the regimented idea creation process. As the process becomes more ingrained the complexity increases to take the level of output to a more granular level. For example, a simultaneous, dual reverse session can be conducted in which two disparate teams are given a different 18 step process and asked to review a patent, portfolio, or product line from different perspectives. One team starts the process looking at the subject matter as it stands today and works forward, while the other team starts the process looking at the subject matter as it might look 10 years in the future and works backward. Where the teams meet can provide actionable data points that our team can turn into an innovation roadmap. Continuation and Continuation-in-Part patent processes are explored here as well. Brief Summary: Mining the internal resources of the company for patentable ideas and ensuring your innovations are being protected as well as adding additional protections to existing patents and patents pending through the Continuation and Continuation-in-Part patent application processes. Detailed Description: Unlock the hidden value or your employees and your current patent disclosures using an employee invention disclosure process. Implementing a process to extract possible inventions from the operations, employees, day-to-day processes. The disclosure form consists of an online process where the individual details every aspect of the possible invention. This data can be supplemented by the IP team to take into account prior art, competitor analysis, how the invention fits into overall company goals, etc. Future function would include the ability for employees to login to a secure portal to monitor progress of an invention (was invention approved by the IP team and subsequently been turned into a patent application, etc). Another possibility would be a company leader board tracking inventions. 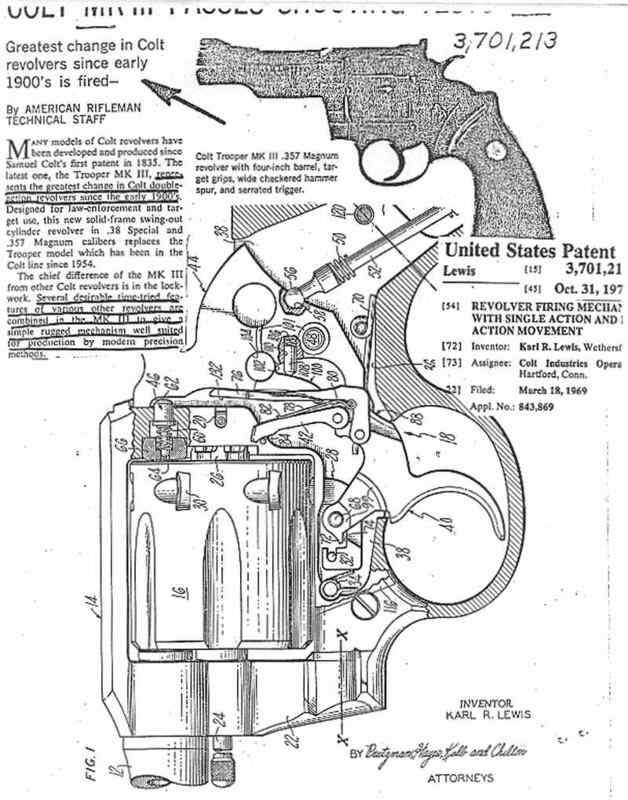 Finally, of course, any patent that issues out of this process would contain the employee as a named inventor. Brief Summary: Using our proprietary algorithm, we can help put a number on the possible damages accruing in the marketplace based on current and past infringement of your IP assets. Detailed Description: Using a proprietary algorithm we have developed over the past several years, and several sources of data and analytics we create an accurate snapshot of your competitive marketplace based on the infringing your IP. Our upcoming automated platform will allow you to login and see real time infringement numbers that can be adjusted based on several factors (conservative or aggressive outlooks for example). In addition, the tracking index displays numerous competitor data points and real time stock information of, potential infringers, giving concise insight into how your infringed IP is having demonstrable impact on the marketplace. Brief Summary: Wall in competitors by using our data driven process to patent your own product or expand existing IP in ways that blocks a competitors innovation opportunities while strengthening your own product and portfolio and bolstering your defense against infringement. Detailed Description: Using several sources of data and analytics we examine and research your product and IP assets to identify areas of patent coverage in addition to future or pending patent needs or lack of coverage to identify unpatented areas, industries or verticals to strengthen and fortify your own product or existing IP. We also review the anticipated development cycle of your product line over the next 1, 2, and 3 years as well as any possible future applications that may be developed. We then do a similar analysis on your direct competitors and compare the two data sets. Using this complete data set we create an IP roadmap for your company and build claims that protect your future innovations while limiting innovation opportunities for your competitors. Brief Summary: Using our extensive network within the IP industry, we can discover untapped synergies for IP holders in disparate industries, and open up new opportunities for revenue streams through IP licensing, IP collaboration, or Joint Ventures. Detailed Description: Our extensive network within the IP industry, and our ability to analyze and map patent relations, allows us to find undiscovered partnership opportunities industry wide and across unknown or untapped verticals. After a deep analysis of your IP assets using several sources of data and analytics we evaluate our findings using our proprietary Portfolio Pairing™ and patent and concept fortification process, as well as techniques such as game theory analysis. The process, which consists of analyzing patent categories, strengths, past litigation, prior art, and numerous other data sources, seeks to find alternatives to traditional avenues of IP monetization that can consist of lengthy and expensive litigations, as well as joint venture opportunities with companies in disparate industries where the synergies may not be apparent. We attempt to discover win-win situations where IP collaboration, a strong foundation of support, and a data driven process lead to greater potential monetization opportunities. Brief Summary: Using a data driven process we seek to find alternatives to traditional means of settling infringement disputes between direct or indirect competitors, and to avoid costly litigation, while finding a true win-win situation. Detailed Description: Similar to our IP Matching service, our IP Adjacencies service seeks to provide two key benefits to IP holders. First, we attempt to create an alternative to patent attorneys and costly litigation. Mediation through analysis is a data driven process that consists of a deep review of the IP holdings of the companies in dispute in an attempt to find undiscovered partnership, or joint venture opportunities that will not only allow you to avoid the lengthy and costly litigation process, but will present new revenue opportunities that will dwarf any potential settlement through litigation. Secondly, we can examine your entire industry and find the direct or indirect competitors that present interesting and potentially lucrative IP collaboration opportunities. Brief Description: Using several sources of data and analytics we can assist your team in the litigation process by providing damages analysis, infringement analysis, and counter suit opportunities. Detailed Description: Patent litigation is a lengthy and costly process that involves volumes of documentation and data. Our processes can help sift through this and discover valuable data points to assist in internal decision making. Using our proprietary algorithm we can assist in damages calculations, or using our infringement analysis find potential opportunities for a counter suit, or expansion of the original complaint. Also, using our extensive network within the IP industry we can assist in securing third party experts, or attorneys to create claims charts, or provide legal analysis. Detailed Description: Are you prepared to demonstrate that you have the necessary rights to assert a patent? The inability to be able to properly show that you have these rights can undermine your efforts when trying to create, or enforce intellectual property. THE IPN will conduct a full audit of your intellectual property to ensure that assignments properly demonstrate current ownership, and when necessary will correct errors. Brief Summary: Wall in competitors by using our data driven process to patent your own product, or expand existing IP in ways that blocks a competitors innovation opportunities while strengthening your own product and portfolio and bolstering your defense against infringement. Detailed Description: Using several sources of data and analytics we examine and research your product and IP assets to identify areas of patent coverage in addition to future or pending patent needs, or lack of coverage to identify un-patented areas, industries or verticals to strengthen and fortify your own product or existing IP. We also review the anticipated development cycle of your product line over the next 1, 2, and 3 years as well as any possible future applications that may be developed. We then do a similar analysis on your direct competitors and compare the two data sets. Using this complete data set we create an IP roadmap for your company and build claims that protect your future innovations while limiting innovation opportunities for your competitors. The Automatic Invention Inventor Platform. 1. Map the problems of the World from catastrophic earth ending problems to the minor inconveniences of people and animals Worldwide and all the problems in-between. This data is being organized Geographically and sorted by severity. 2. Map the innovations of mankind, from the patents, to exposed legacy trade secrets, common cures, medicines, procedures, patents and solutions. 3. Seek solutions present and future through algorithmic and proprietary means . The IPN is creating a first-of-its-kind IP Integration model that seeks to pair, process, and suggest solutions, to the World's problems through the application of intellectual property, innovations, known solutions and inventions to solve the problems we have throughout the World. How? - With great care and precision we're building both the problem finding spiders that will comb the World for our gripes, pains, and pandemic theories. We will, through automation and horsepower unavailable to all previous generations, leverage cloud computing to intelligently index, and classify the Worlds' problems. Why?- We have studied this for over 2 years and have developed proprietary systems that make it possible. The search engines, content providers and internet archives including scientific and University data sets make both the problems and innovations data available. Our hypothesis and invention is about taking concepts like IP pairing and integration innovation to illustrate that many of the World's problems have already been solved. It is truly a question of the will and resources to apply them. Flooding in coastal areas is foreseen and modern inventions already address this issue as one example. We intend to illustrate how the problem is solved to invoke the will and the resources through demonstrable facts and business opportunity. Who? - The IPN and our partners. Every single day until it is completed. Then we will version it out phase by painful phase. How long will it take? - We don't know yet. Want more information? - Contact The IPN. WE BUILD YOUR ENTERPRISE SOFTWARE PLATFORM AND WE PATENT IT FOR YOU AS WE GO. World Class Scoping- We work with your teams from any starting point. Whether we are reviewing your documentation or creating it for you through secure and confidential data capture and collection sessions, we get your scope done and you own the work product. Patents & Trademarks -THE MOST COST EFFECTIVE AND VALUE ACCRETIVE PROCESS AVAILABLE. THIS IS THE IPN SWEET SPOT. WE FILE WHILE THE SOFTWARE IS BEING ROLLED OUT. WE TRAIN YOUR TEAMS OR PROVIDE MANAGED SERVICES TO GROW YOUR PORTFOLIO. Developer Documentation - Our process insures your software is developed with all of the developer notations and documentation. End-User Documentation - User manuals that are copy written are created and a system is passed on to our customers or managed by The IPN to insure all user-manuals track with all updates and changes to the software. Patent as you go - It's The IPN way. Mobile Advertising- drive traffic to any campaign or ap, leveraging our industry leading knowledge and network. Flawless deployment - Cross platform, device agnostic, we take you through step-by-step. We can pass off or manage any aspects desired.